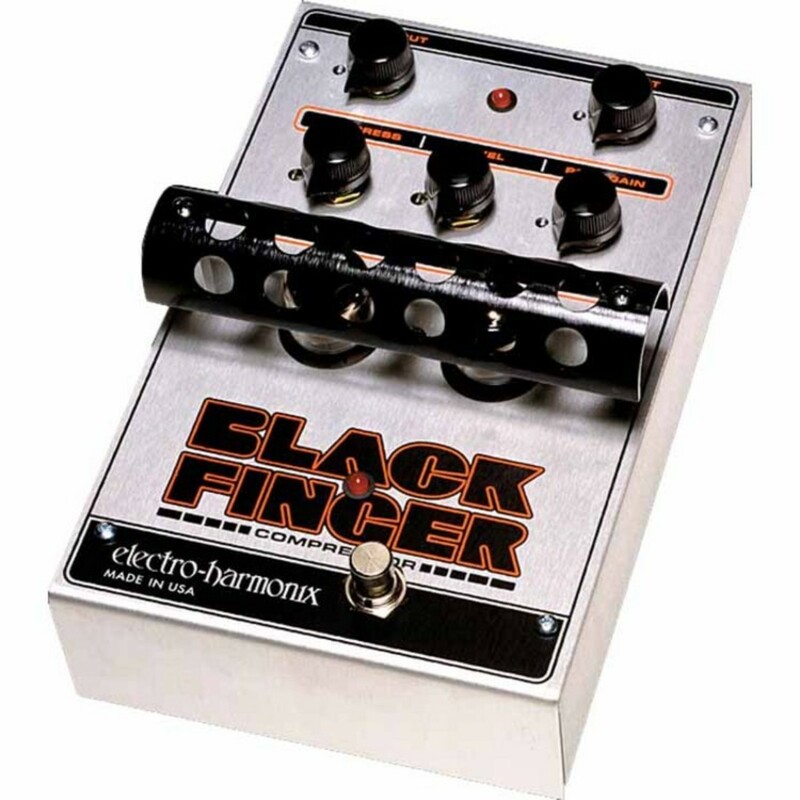 The Electro-Harmonix Black Finger Compressor Pedal uses the same professional-grade techniques that the most revered, vintage and mega-thousand dollar, high-end studio compressors use, except that it's in the form of an affordable, compact foot pedal! 2 different light sources (LED and lamp) provide distinctly different readings and offer uniquely varied compressions. One tube handles the compression stage while the other manages the gain stage. And unlike other "tube" hyped products on the market, which use 9 to 50 volts, the Black Finger's design allows a full 300 volts of swing to be utilized. This makes it a true tube compressor in every sense. Whether used as part of an effects loop or with direct guitar, bass or voice, the Black Finger will give music the type of treatment that simply cannot be achieved via plug-in emulation or with any other analog or digital product that doesn't cost thousands of dollars.